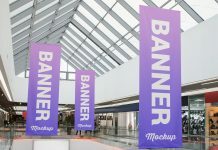 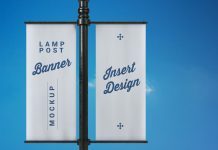 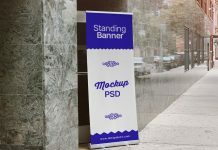 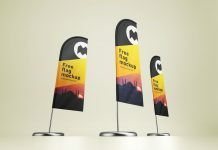 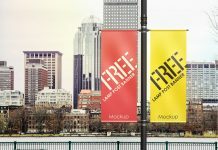 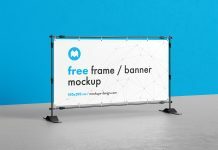 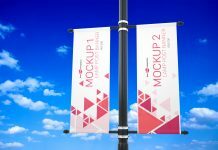 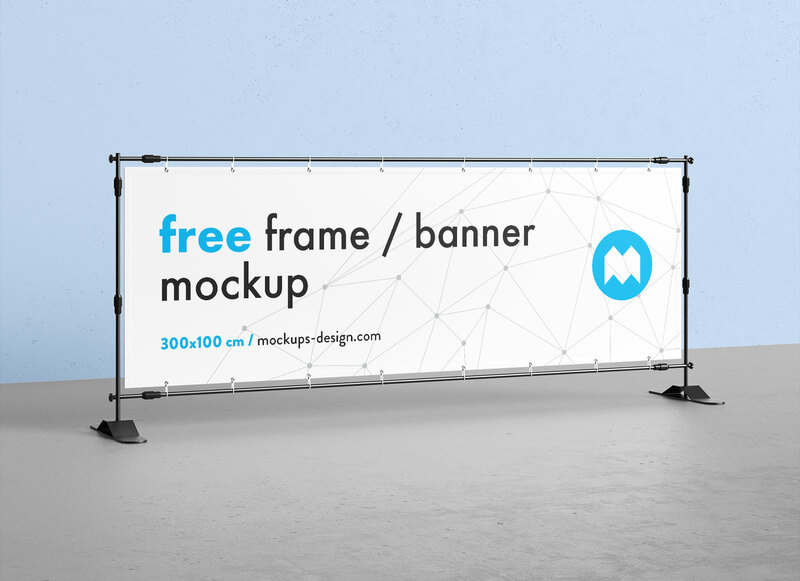 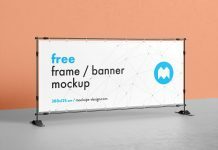 Another beautifully crafted 3D generated banner mockup provided by mockup design. 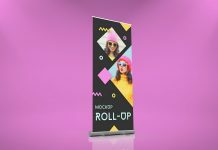 It is a 3 ratio 1 horizontal banner frame stand mockup that is a perfect choice to showcase banner design for events, exhibitions and outdoor display. 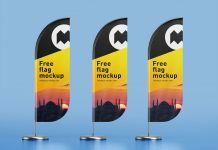 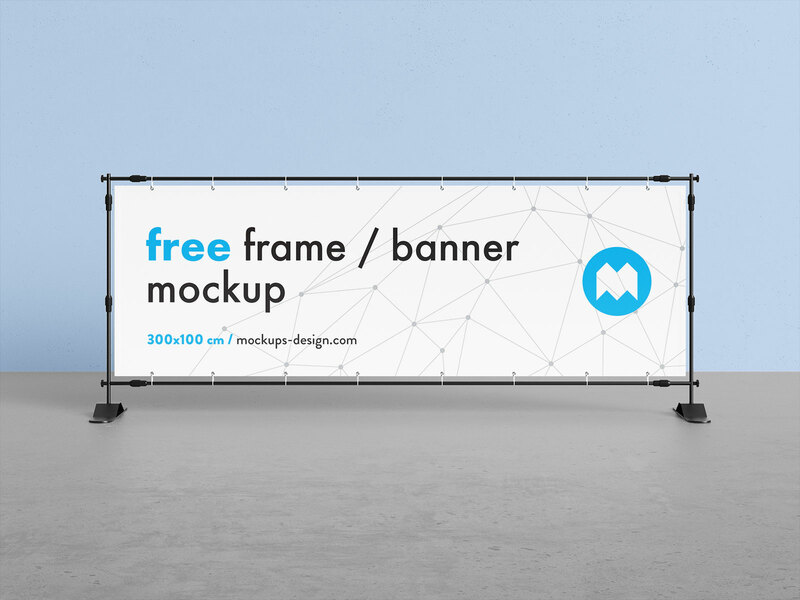 Previously, we shared 2 ratio 1 banner mockup that you can also download from mockup design website. 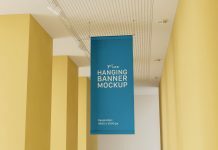 Place your artwork on smart object and it will perfectly place itself. 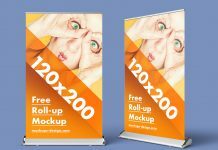 After inserting your artwork customize backgrounds by using last two layers.